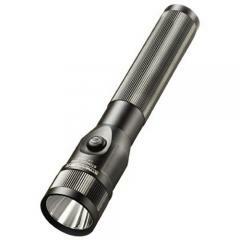 This all purpose flashlight is designed for the broadest range of lighting needs at the best value. 3-cell, 3.6 Volt Ni-Cd sub-C battery, rechargeable up to 1000 times. 3-cell, 3.6 Volt Ni-MH sub-C battery, rechargeable up to 1000 times. Great flashlight with a long battery life. Fits on my belt great and is very bright. A bigger and more powerful light. Exceeds my expectations. Flashlight is great, charged it when I first got it and two weeks later it is still going strong. Excellent product. Awesome customer service. Good service, price and product. Can you keep it charging all the time? Yes - it is safe to keep the light charging at all times.